While the investigators are working on theories concerning possible organizers of the murder, the investigation was able to reconstruct the full picture of the murder. The preparations took an entire day, during which Nemtsov was trailed by several cars. Nemtsov was likely able to see the face of the killer, who came out of hiding in front of both Nemtsov and Duritskaya, then turned around and opened fire once the two passed him. Law enforcement sources say that the surveillance was conducted by three cars who have exchanged places six times during the day at various stages of Nemtsov’s and Duritskaya’s travel. The investigation was able to establish this using the Potok surveillance camera system video. Nemtsov picked up Duritskaya at the Sheremetyevo airport around 11 a.m. on February 27. Already then their Range Rover was being followed by a Chevrolet. 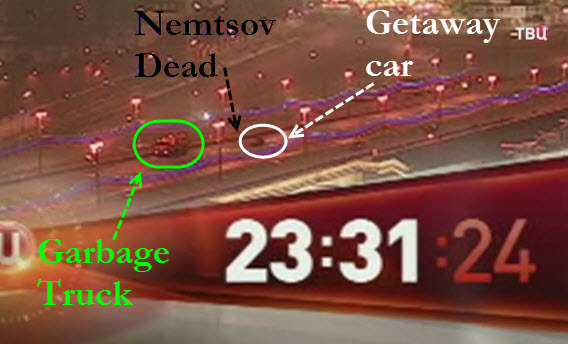 It followed Nemtsov’s car almost until Moscow, where it was replaced by the next car. The second car followed Nemtsov almost to his home on Malaya Ordinka. 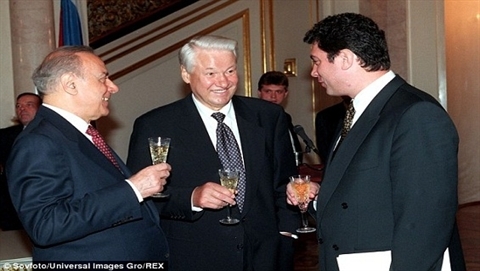 In the evening, the criminals “accompanied” Nemtsov to the GUM where they saw him dismiss his chauffeur. Then it became clear that he would be returning on foot to his apartment on Malaya Ordynka. The external surveillance established over Nemtsov then gave the killer group to occupy their positions when Boris and Anna left Bosco Café around 23:22. The car in which both the killer and his driver were sitting was parked on a side street. It made a U-turn around 23:29 under the Bolshoy Moskvoretskiy bridge, slowly approached the stairs, where the killer got out of the car. 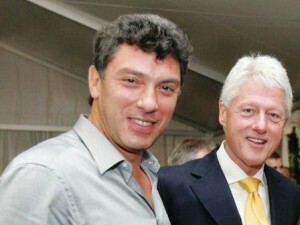 By that time Nemtsov and Duritskaya were already on the bridge. The killer waited for them on the stairs. 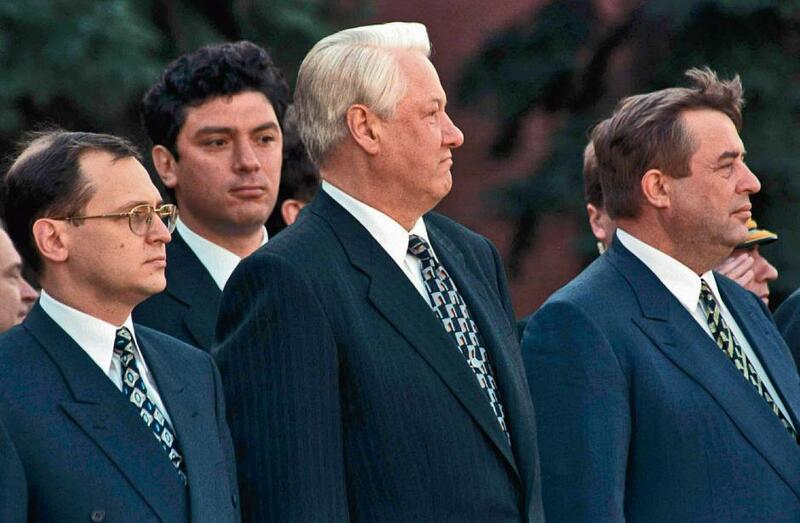 He came out in front of them, pass them, then turned around and at 23:31 he shot Nemtsov in the back six times. 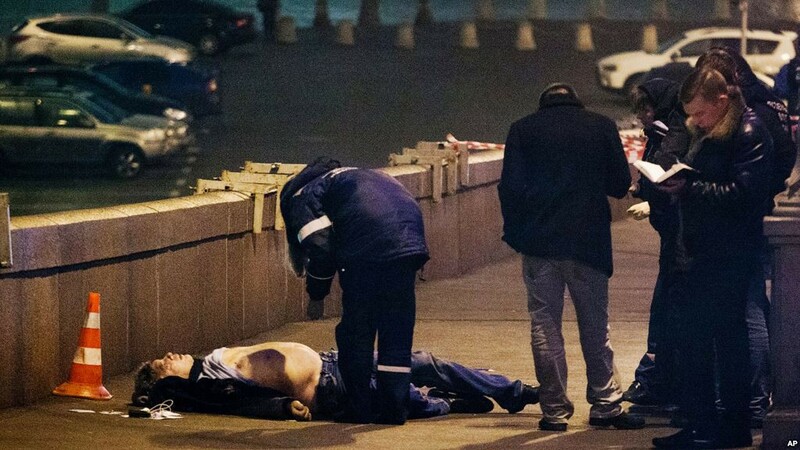 Four of the bullets struck him, one of them struck Nemtsov’s heart and killed him. By that time the car which was supposed to pick up the killer had already reached the crime scene. The killer only had to run out into the street and sit in the front passenger seat. Part of the killer’s vehicle route after departing the crime scene was reconstructed using video surveillance recordings. J.Hawk’s Comment: So it would seem the operation involved at least three cars and at least six individuals (counting the surveillance team that kept tabs on Nemtsov at the GUM). It really seems like too much of a coincidence that Duritskaya came to see him just when he was clearly being targeted for assassination which evidently was supposed to have happened on that or next day, and preferably somewhere close to the Kremlin. The description of the surveillance does suggest the people in question knew what they were doing. 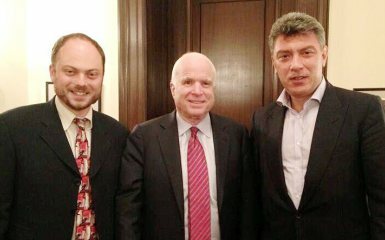 Since Nemtsov was theoretically able to see who the killer was, so was presumably Duritskaya who after all walked right next to him all this time. The description of the events above contradicts what Duritskaya is reported to have said, namely that she did not see the killer because he shot Nemtsov from behind. At no point did Duritskaya indicate the shooter was ever in front of them.